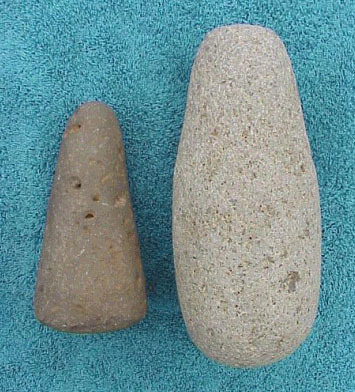 The following items are poi pounders and one picture of two pestles. 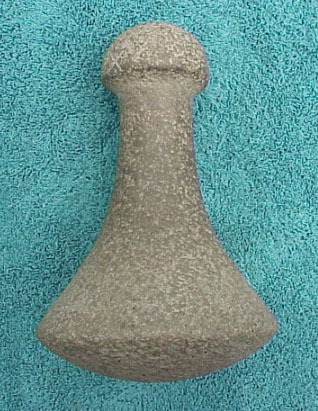 The Poi Pounder rates as one of the two most valuable Hawaiian stone implements. 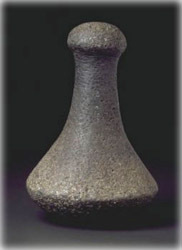 The other being the Adze. 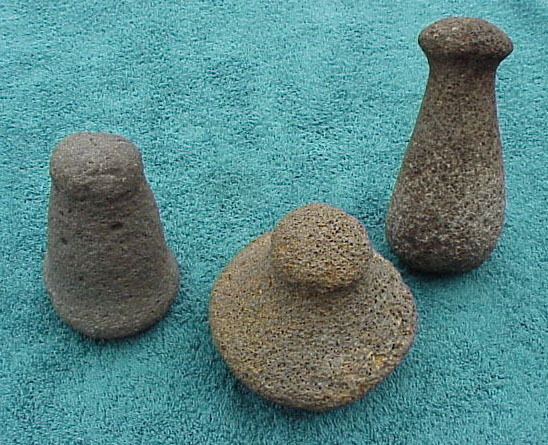 Every Island had poi fields, both wet and dry. 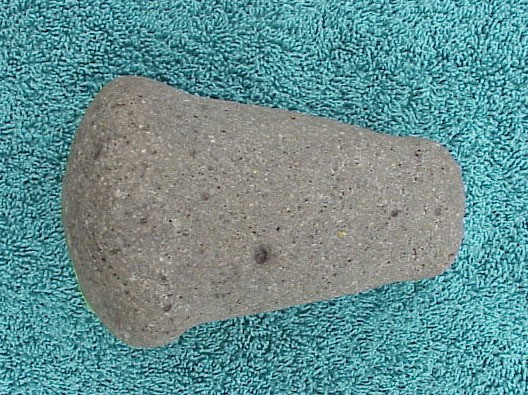 The poi pounder was used to first crush the taro root after it was baked. 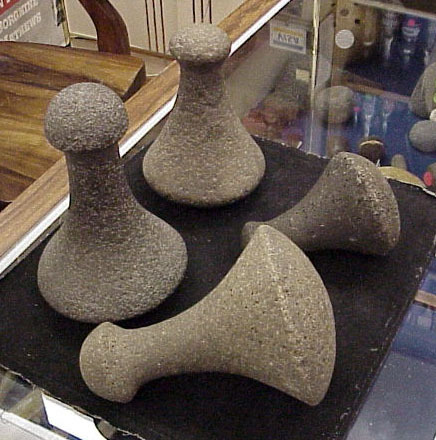 Once crushed, the taro was kneaded, using the pounder into a paste that is known as poi. 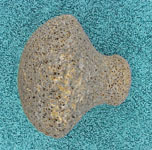 While poi has the consistency of paste, its nourishment rates it as a substitute to mother's milk in lactose sensitive babies. 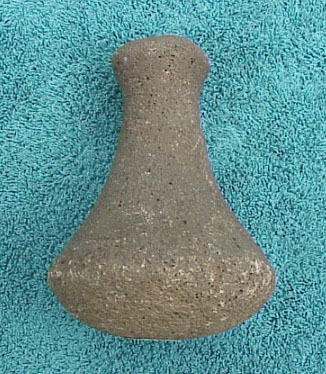 Almost all calabash bowls were used as containers to hold poi. 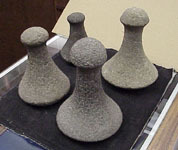 Traveling Alii (royals) would have their own poi maker bring his tools including the poi pounder. 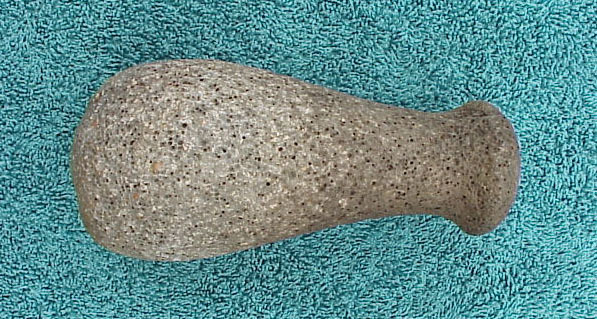 The poi pounder is the most distinguishable Hawaiian stone implement. 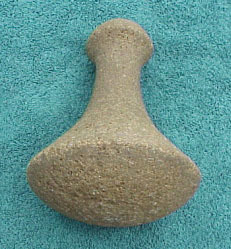 This is a nicely shaped small pounder probably used to grind some type of plant material. 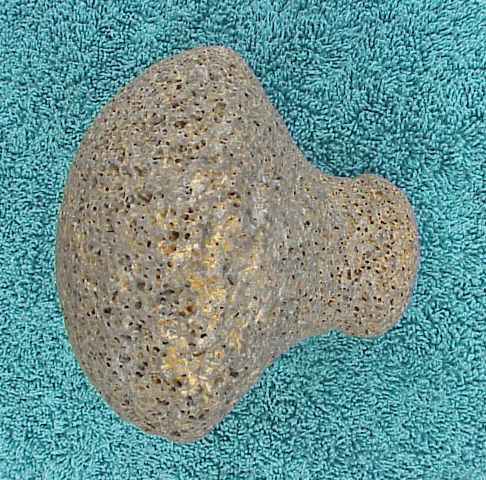 It is about 7" tall with out the larger base like a poi pounder. 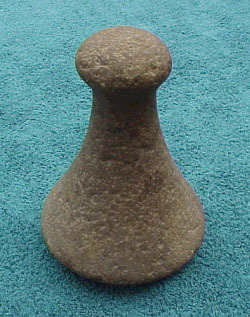 This is a small grinder with a base larger than the top, which has a small neck.